située dans 1 village provencal médiéval, à 30 km acces aéroport et gare TGV. Centrée autour de nombreux attraits touristiques ( Aix en Provence, Avignon, Camargue,les Baux,Arles, ...). 1 chbre avec 1 lit 160, douche et wc. 1 chbre avec 1 lit 160, 1 lit 90 douche et wc. 1 grand salon avec télé, hifi et 3 canapés dont 1 canapé lit 140. 1 espace cuisine avec terrasse 30 m2. 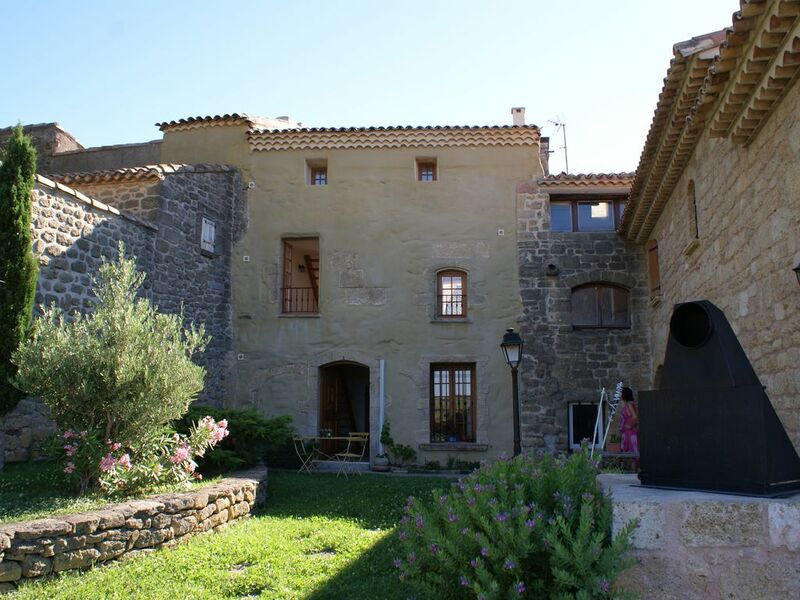 We had a great holiday in this charming house in Miramas le Vieux. The house is lovely and had everything we required and was comfortable and clean. I would have reservations about having young children in the house as the stairs are quite steep and the bedrooms 2 floors apart. The village is stunning! Need a car to get around the area and there are some lovely towns nearby, with Avignon being a highlight. The owner Marc met us when we arrived, explained about parking etc which was helpful. We had a wonderful few days in this beautiful house. What a location! Marc's communication was brilliant (and he speaks fluent English) and we received a warm welcome from Marc and his wife on arrival in the village. Plenty of space, beautifully renovated and well equipped - there is a sunny terrace and a beautiful garden with spectacular views. It is not far to swimming in the lake or to local supermarkets. Outside the door is the beautiful old town of Miramas. Every evening we walked for an nice cream in one of the two wonderful glaceries minutes away and watched the sunset. We won't forget our stay here and cannot recommend highly enough. Thank you! shopping à Miramas.sports nautiques et plages au bord du lac. Parc de la poudrerie pour les randonneurs, départ du village. frais de ménage et de blanchiment de linge de 50 euros forfaitaire à régler à la fin du séjour.